Here is the 32nd amateur fusion reactor built in a basement. [Mark Suppes] is right behind [Will Jack], the (then) 17 year old [Thiago Olson], and [Mileiux] in engineering a homemade nuclear reactor. By taking two light elements and colliding them under extreme speed and pressure, a heavier element and energy are produced. [Mark’s] goal is to lasso in investors to earn enough money to build a larger Bussard Reactor, which will hopefully produce as much energy as it consumes. Free energy at only a couple million dollars; who wouldn’t pass up this opportunity? I’m still trying to find a cheap diffusion pump to make my own one of these! And before anyone comes in with something about it blowing up – the greatest risk on these machines is risk of electric shock from the high-voltage power supplies. Fusion requires so much energy to initiate that a thermonuclear weapon actually uses a regular atomic (fission) bomb to start the reaction. This fusion is so low powered that there will never be a chance of any danger, and the small amount of neutron radiation they produce is less than you get at cruising altitude in a plane. And no, there’s no chance a machine like this can generate net power. The ions collide with the inner grid, both creating gasses that polute the plasma, and stopping those ions from fusing. The Polywell (Bussard) design is designed to prevent this but costs many orders of magnitude higher than a fusor. After lazers over 5 MW are banned for import and after seeing the oil spill in the gulf, while this is impressive, I think there should be some sort of regulation. Yay. Soon we could all be living next door to a nuclear power plant. Interesting (if moderately disturbing) project. I, myself would love to see more nuclear power plants built in the US. YES !!! FINALLY NOT EVERYONE EVERYWHERE IS IGNORANT OF TESLA !!! IF FREE ENERGY IS WHAT YOU SEEK, YOU SHALL FINE PLENTY OF MODELS TO FOLLOW… AND DON’T LET ANYONE GIVE YOU THE ANSWERS YOU NEED TO FIND FOR YOURSELF! WHAT THE F*** DUDE! DON’T YOU UNDERSTAND NUCLEAR WASTE AT ALL???? WE ALREADY HAVE PLENTY OF NUCLEAR WASTE WHEN WE HAVE POWERED SO LITTLE WITH THE POWER CREATED… NUCLEAR POWER PLANTS ARE IN EVERY ASPECT A BAD DECISION FROM BEGINNING TO END THEY DO NOTHING BUT BRING DEATH TO THE LIFE AROUND THEM… NOW QUESTION THOSE WHO CALL FOR MORE NUCLEAR PLANTS. DON’T BE A FKING SLAVE, OPEN YOUR EYES AND EARS! THE WORLD NEED YOU TO WAKE UP!!!!! I saw an engineering student do a project with one of these to do neutron activation analysis. The potential for using this as an analytical instrument is more exciting to me than using it as a power source, which is unlikely. What about those things? The problem is that they don’t actually exist in real life. Please tell me you are trolling. What would the energy companies gain from _suppressing_ such inventions? Maybe using and monopolizing them for themselfs, but suppressing is just plain stupid. 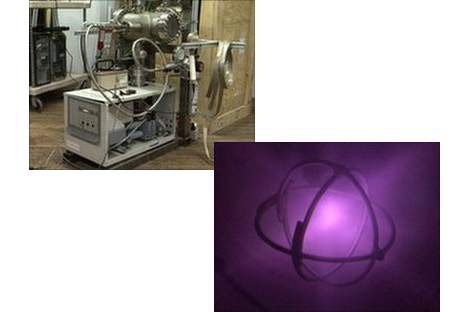 Also: great project, unfortunately it is impossible to break-even with this kind of reactor design, a polywell maybe, but not a fusor. hate to break it to you, but it’s real. theres methods which use back EMF to induce voltage spikes from radiant EM energy… stuff like that, ive been delving pretty heavily into it myself recently. Great. Now when can I order my Mr. Fusion? That’s cool. Ride your bike to work, make webpages for a fashion company, then ride your bike home and mess with nuclear fusion. @DUH – BE AFRAID!!! Did you actually read the article? [“There is no chance of any kind of accident with fusion,” says Neil Calder, communications chief for Iter, a multi-national project begun in 1985 with the aim of demonstrating the feasibility of fusion power. I’d rather live downwind of a nuclear plant than a Coal plant for sure..
Yeah, I’m a big Tesla fan too… but he had some really dumb ideas. Get your head out of the sand and go do some research. A lot of Tesla’s myths aren’t real. The FBI released all the documents (no proof ofc) back to his home government. His mechanical resonator never existed (if he really caused earthquakes in Manhattan why was there no newspaper article?). He believed you could get free energy forever by electrolyzing water into H2 and O2, letting it rise and recombine into water, and turning a paddle wheel. He actually filed a patent on this late in life, apparently he hid it from everybody because he was afraid they’d use it, but thought he had nothing to lose when he was too old. Finally, despite the claims, his Tesla coils were actually far less efficient than modern-day versions. Note, however, that his purpose was transmitting ‘electrical vibrations’ through the ground instead of the air. He actually wrote Marconi and told him he had it all wrong. So, the ‘efficiency’ of his wasted energy is debatable. Also, be careful about internet mumbo-jumbo. It’s really holding you back from real knowledge. Vacuum energy is theoretically possible. It’s a real research project with real PHDs (and lowly underpaid grad students) and millions of dollars in funding. Now, having said that, it has nothing to do with vacuums or spinning disks or electrons or anything. Just be careful – the internet lets anybody talk with any kind of authority they can say they have. Seriously, I’m begging you… if half the people that believed all this stuff put their creative energy towards something useful the world would be a much better place. nuclear power is the future of energy production. get used to it, kids. its not fusion that creats so turnoff you’re caps lock, your getting fusion confused with fission. Fission is the one that creats the wast, but it is not that large amounts, and the wast is buried deep under ground. If you haven’t heard of Wilhelm Reich and his “Orgone energy”, here’s a reader’s digest: “Orgone Energy” is what Reich named a non-visable energetic substance that he was able to isolate. He basically created a “filter”, by layering a few common substances, that localizes this “Orgone E”. By using these filters on plants and testing them on people with injuries, Reich found that increasing “Orgone” in an area dramatically accelerated growth / healing… so, yes…. for all you nerds: “Orgone Energy” = “The Force” !! You said it was being suppressed by big energy. LOL!!! I jsut fine it hilarious that someone is proclaiming the facts in free energy, perpetual motion machines, and other fringe/questionably provable devices, but is scared about nuclear, something can is very real and can be done now. I’m all for more fission nuclear power plants. To me atleast, the problems with nuclear are not technology based, but based in policy because some people are so anti-nuclear that they will raise heaven and hell to stop a nuclear power plant. the newer, more modern nuclear plants are much more safer, produce less waste, increased effeciency, etc. . I’m hoping that some of the money obama is allocating for building nuclear power plants can be spent on informational commercials and websites to educate the public that nuclear powere has advanced over the decades and rebute the lies and partial truths the anti-nuclear groups spew out. — I pray not… have you heard of the Sterling Motor? There is enough sunlight ALONE to power all of Humankind’s needs… but there’s no one to pay for it, so it is kind of confusing, huh? The UK annually spend more on ringtones than on Fusion Energy Research. I assume it’s the same in the US. There needs to be a Manhattan Project-like fund for Fusion Energy. We cannot survive using oil. It’s more likely then you think! Hey, awesome, FAMULUS is finally getting some attention. He’s been talking about this over at talk-polywell.org for a while. I’ve been following his blog at prometheusfusionperfection.com for a little while, this guy is a true hacker. I’ve built a sterling, and there are few devices that are less efficient than those.. They are fun to build and watch, but they produce so little mechanical power from massive heat differentials. Show me one that can turn more than a few inch/lbs of torque, without having to burn massive amounts of stuff to build the heat needed. Great job on the project, pretty impressive for a backyard experiment. As for achieving breakeven though, I wouldn’t get my hopes up. Traditional “hot fusion” requires an absurd amount of input energy to keep the system stable. My money is on a breakthrough with the Fleischmann-Pons cell, knowing a few PhD’s working on the research always helps. Wow, These comments went the opposite direction that I thought they would. I expected the Safety patrol to start harping on how many sharp edges the Fusor has. In a few years we may well be able to burn the nuclear waste itself in next-generation fission reactors. Thorium (one of the principal waste products of nuclear energy) still harbors quite a bit of energy. In theory, as the technology advances, we could keep reacting the waste products until they are about down to iron. The shorter half-lives of the next-generation reactors’ waste will make storage problems much smaller. So basically, the less we freak out about nuclear energy, the more efficient it can become, and the better chance we have of safely disposing of the waste we have already accumulated. Tesla’s methods of sending energy weren’t shown to not work, they did work, it was simply shown that it is more energy efficient to actually run a wire than use air or the ground to transfer energy. Electrically speaking, it is still more efficient to use a wire for communication than radio based, too, though, that can cause logistical problems, such as environmental issues in the middle may cause that wire to break, blocking the communication. When you think about it, for communication, we put several watts (on HF, 100W is not uncommon) into the air, to pull a few microwatts out of the air at the reciever. If we were to do that by wire, we could easily get by with much less than a watt. same problem here, no diffusion pump. i have a roughing pump here recovered from a broken car aircon system, however this is good for .01 atmospheric (a really really lousy vacuum) however it is slightly better than nothing. apparently Tesla developed a flat plate device to remove air from a chamber which relies on binding the oxygen into metal oxides, in a similar way to a “getter”. might work for getting the last bit of air out of a chamber once pumped down, but you will need a turbopump no matter what. i did come up with an idea using a piece of copper “pickled” in ammonium persulphate to expose the surface then cleaned under DI water and installed as one of the plates. unfortunately scratch building a turbopump is *not* an option, the tolerances are in the microns and even if somehow you managed to get that part working the vibrations at 90,000 rpm would surely tear it apart. try local neon sign shops, sometimes you can salvage a “broken” pump which is no good for neon sign work but can be rebuild or repurposed. I really don’t want to step into what is becoming a fight amongst the tinfoil hat brigade, but your statements with regard to stirling (not “sterling”) motors betray a certain ignorance of the subject, despite you having “built” one. Like any heat engine, the efficiency of the stirling is proportional to the temperature differential applied to the motor. You are correct that those cute little stirlings that are claimed to run off the heat from a cup of coffee are no more than curiosities, and barely turn themselves. But that is true of *any* heat engine trying to operate from a poor-quality (low delta T) heat source. When stirlings are run on high-quality heat (high delta T) they are very efficient (I’ve seen claims of 40%). The best stirling motors are hermetically sealed and even pressurized. Motors of this type were used to great success in experimental postal fleet vehicles under a NASA study. These motors provided adequate power and torque, and as external-combustion engines, were capable of running on a wide variety of fuels. The downside? It is difficult to “throttle” a stirling motor. Of course, if the stirling is powering a generator to produce electricity, this is far less an issue. In fact, another study I read just a few years ago stated that if you compare a reflective parabolic dish with a stirling motor/generator at its focal point to a photovoltaic array of equal capture area, the stirling generator produces *much more* electricity, despite losses implicit in a mechanical system. No single energy production/conversion/usage technology is going to solve all of our problems. If there is one, it will likely be Bussard’s inertial electrostatic confinement fusion. Stirling motors will provide an excellent way for making productive use of the heat produced. Bottom line, there *will* be more stirling engines in your future. – I pray not… have you heard of the Sterling Motor? There is enough sunlight ALONE to power all of Humankind’s needs… but there’s no one to pay for it, so it is kind of confusing, huh? there is a problem with what you just said, yes there is enough energy form sun light to power our needs, but the problem is the sunlight they are talking about is EVEY SINGLE BIT OF SUNLIGHT THAT HITS THE EARTH. Imagen if there were solar plants on every bit of land of the earth, that would cause more environmental damage then most other sources of energy because you would have to cut down all of the rain forests to make room. now if the modern day solar plants were at least 85% efficient then that would be a different story all together, but the truth is that modern day solar plants are only about 9% – 35% efficient. Cmon people, a fashion designer ist tryin to raise millions to built a *fusion* reactor? Hmm, wait a minute. So a guy with no profound experience in the field is trying to do, what is done by the best physicists in the country? And even they have problems doing it, despite billions of research spending on this world wide? wow this was fun reading i just realized how sad it is that so many morons believe all they see and hear. ever heard of critical thinking?? overunity devices are fake and (at least in my book ) open system devices are not overunity. back emp LOL get a electrical engineering handbook and read it voltage means nothing. some magnet based devices may seem to work but all they do is “run down” the magnet yes magnetisme is also a form of energy.now invent a device that taps real vacum energy now that would be a real breakthrough. @all the fission ppl PLZ get a life there are so many unsolved problems with waste managment and secrity concerns that you can hardly call it a technology for the future. even assuming you can use all decay products to power smaller reactor until the waist is non radioactive the biggest problem remains: there is only so much radioactive material you can use. but in the end its like oil ist a fossile fuel. another thing is tesla was a brilliant man i his time he was a visionary. some of his work turned out to be wrong some to be true but im sure he would turn in his grave if he saw all the bs featured under his name by the “free energy community”. as about the matter at hand nice project we need more of those “energy hacker” but i wish ppl were trying harder to think out of the box since its clear to everyone building a fusor that it wil never reach net energy production…. What is it with “free energy” buzzwords that draw out the crazies? There is no such thing as free energy, period. You should check out http://fusor.net , it is the main forum for fusor enthusiasts. I am eventually going to build one. I have one vacuum system with a 6″ cryo-trapped diff pump with a 18 x 18″ bell jar. I also have a smaller turbo pumped system. Both systems have residual gas analyzers installed on them. Picked up a 50kv @ 5ma power supply the other day. @Bjonnh while the Sun provides a free source of energy, you are correct their is no free energy. In regard to on site nuclear reactors providing energy. The heat can be used for space heating simply , but it would be too expensive for that. At the moment to use the reactor to produce electricity the heat from the reactor would have to produce steam. While steam is simple, but using it safely complicates the process. Face it if fusion ever becomes practical it will be used mostly to power the grid, as most of the public want electrical power to be plug and play. I see the Tesla cult, with their conspiracy theories. found this post. In the event Tesla was really on to something the power companies would have developed to increase the profit for the for profit companies, or reduce operating expense for the co-ops. Respectfully return to the real world we all live in. Also, to the guy mentioning sterling engines, yes tehy are a great way to harness solar power. A couple companies are currently working on getting them mass produced for grid production (Stirling Energy Systems) and are test running a facility in the Mojave desert. If a market develops for a product, and the tech is proven, a company will take it up and develop it. It just hasn’t been economically feasible in the past. Those stirling engines have high maintenance costs. Yes solar is cheap, but until the California govt posted a contract to pay for the stirling engines if they could pass the proving stage (which its in now), they would never have been economical. It will cost more to generate a single watt from the stirling engines than it would from coal, at least thats the way the economics of it seems to be working. As economies of scale come into paly, who knows. But no startups would touch the engines for grid production cuz until ecological factors came into play, no govt would pay more money for the green source than for the coal source. Also keep in mind politicians like tried and true solutions (coal) since theres less risk and they can run better cahnce of reelection compared to more risky new techs (stirling). The sun really fills every inch of the Earth with an abundance of energy, it’s in the grass, it’s in the wind, in the oceans, and in all of us. I mean this IS HACKADAY RIGHT>>>??? Aren’t we supposed to be the MOST free thinking and LEAST bound by mainstream ideas?? More willing to color outside the lines and excited by doing new and different things? Let’s see some pants that charge my phone and ipod while I walk! Let’s see some roads that absorb turbulance from traffic to power street lights! Let’s make tomorrow better, together! “tony stark was able to build this in a cave, with a box of scraps”!!! @HaD You guys know that when you post stuff like this, every coke snorkin’, tinfoil hat wearing, hemp clothed, Marty Feldman eyed, stark raving mad, lunatic fringe to post whatever websites they use as their bibles. Then as if what they say is not scary enough, THEY CAPS EVERY SINGLE WORD, which really does not do much to either promote their arguments, nor convince us that they are not coke snorkin’, tinfoil hat wearing, hemp clothed, Marty Feldman eyed, stark raving mad, lunatic fringed MORONS. Keep it up! Not only does it drive them loony mad, but it amuses me greatly, thinking they are about to suffer an aneurysm because no one will believe them and take them seriously. @ Coke snorkin’, tinfoil hat wearing, hemp clothed, Marty Feldman eyed, stark raving mad, lunatic fringed morons, please note that those ideas you got when smoking weed, probably are not going to work. Unfortunately for you, and fortunately for me, the Internet gives you guys as much a forum as Stephen Hawkings. The difference of course being that Mr. Hawkings actually knows of what he talks about. The fun part about this is that when you guys get into a corner and talk and the air gets heavy with aromatic herbs of the mind altering types. Then one of you apparently writes this stuff down and puts it on the Internet, which the rest of you then take as gospel and inarguable. However, you must know this, something for nothing and your chicks for free, is only a song lyric. While I dig the rock music, I know that is not truth. Every bit of energy is accountable from something else, the law is immutable. Please take a look at Conservation of Energy, and Newton’s Three Laws. If you can understand them, then try and break them. Bring us a working demonstration model. Trust me, if you can, you will become mad wealthy, and scary powerful.